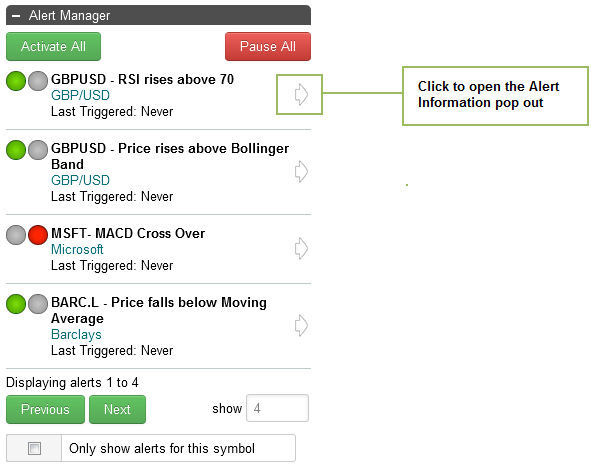 The Alert Manager widget shows you a list of all the alerts you have created that are currently active or paused. 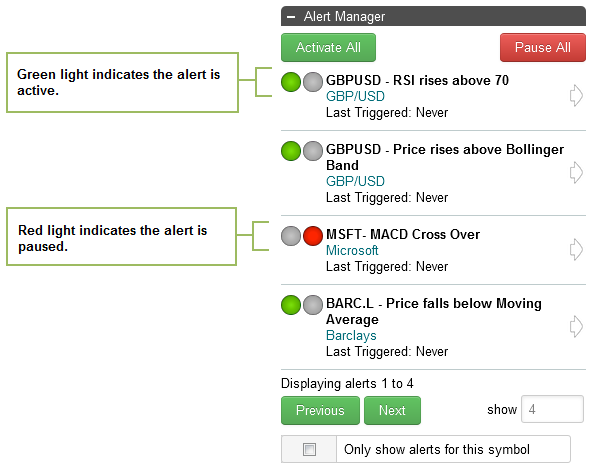 Alerts with a green light next to them are Active. Alerts with a red light next to them are Paused. 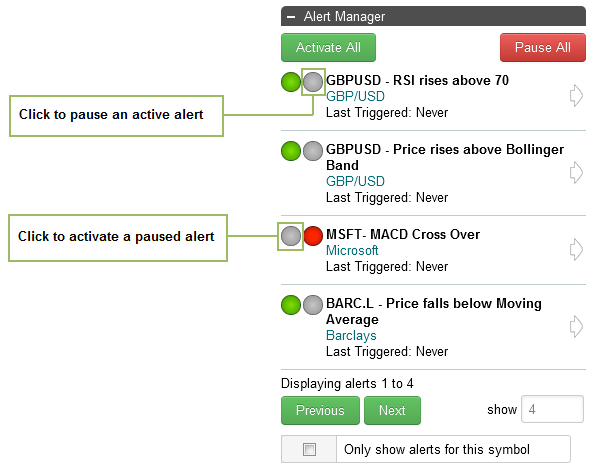 To pause a currently active alert, click the roundel to the right of the green light. 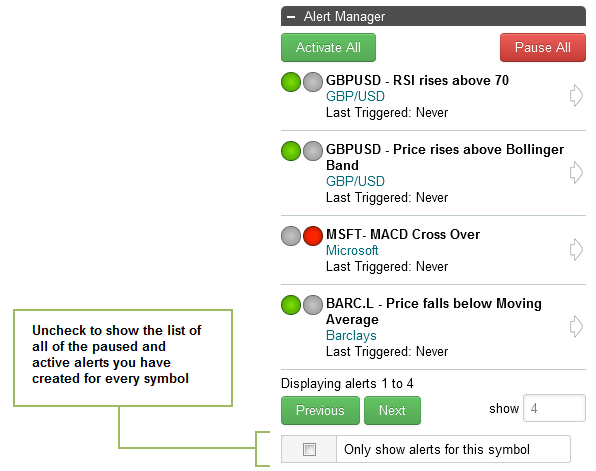 To pause and active alert, click the grey roundel to the left of the red light. 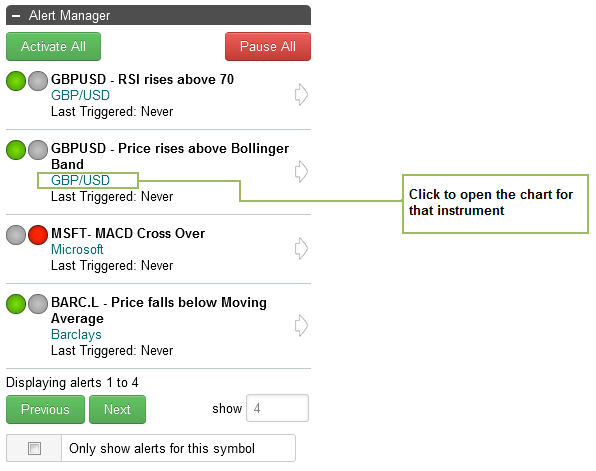 You can see the conditions associated with an alert and last time an alert was triggered by clicking on the arrow to the right hand side of the alert. This will open the CHART for that particular stock or currency.